Mainframe Computers are very complex and extensive computer system that goes far beyond the capabilities of a personal computer and of a typical server too. Previously we published an article on Mainframe Computers and Terminal Emulation, it can be a good read too. You have possibly seen very big computer unit in some big offices or Bank – occupying in a separate big locked room – those mostly are Mainframe Computers. In mainframe computers, carefully matched, highly durable and are redundant components are installed. Usually, the maintenance of these machines is carried out during operation and hardware replacement and upgrades do not affect or even interrupt their operation. Above all, Mainframe computers are characterized by their reliability and high input-output performance. When mainframe computers are in online mode ( time-sharing service), a large number of users in batch mode can also perform complicated and expensive task. The user is given the online mode access to these mainframe computers over computer terminal . Ever since personal computers have become established (PCs), such terminals are mostly by respective emulations replaced on the PCs. The typical applications of mainframe computers are given in banks, insurance companies, large enterprises and public administration. With these mainframe computers and a modern operating system, it is possible for many virtual servers to run. Comparing Mainframe Computers with Supercomputers is like comparing a human male and human female. The distinction between supercomputers and mainframe computes are not simple, but generally we can say that supercomputers focus on problems limited by calculation speed while mainframe computers focus on problems limited by the device I / S and reliability. Supercomputers typically exploit massive parallelism, often with thousands of processors, while mainframe computers have a single or a small number of processors (at most several dozen). Because of the parallelism is visible to the programmer, supercomputers are very complicated to program on; but on the mainframe computers, the limited parallelism (if any) is usually hidden from the programmer. Supercomputers are optimized for complicated computations that take place primarily in memory, while mainframe computers are optimized for simple computations involving huge amounts of external data accessed from databases. 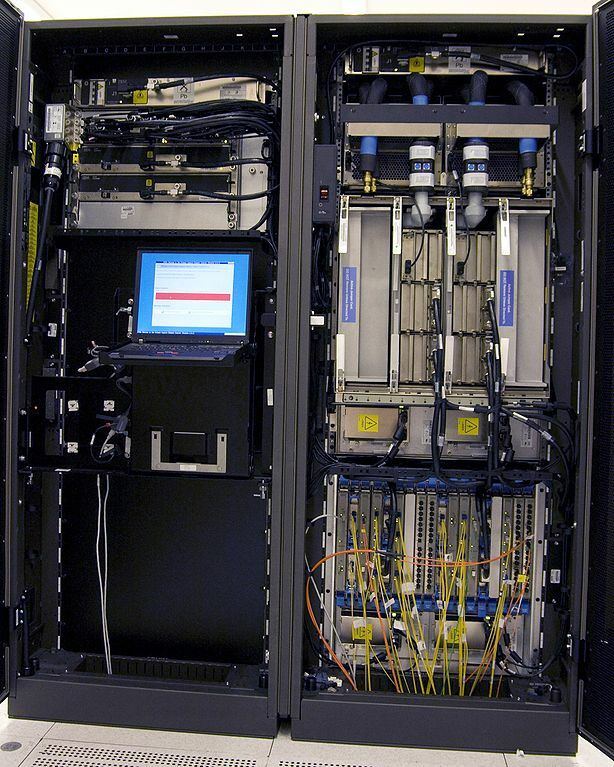 Supercomputers tend to be used in science and the military, while mainframe computers tend to engage in business and government administrative applications. So, you understood what those big things looking like ancient machines, kept in a locked rooms are in banks. This is the question that was asked by a visitor resulting in this article on Mainframe Computers. This Article Has Been Shared 3684 Times! MacBook Pro SuperDrive Keeps Ejecting CD/DVD Discs is another regularly complained issue which in most cases has no actual hardware failure.Fix it in DIY style. Cite this article as: Abhishek Ghosh, "Mainframe Computers : Brief Introduction," in The Customize Windows, February 18, 2012, April 24, 2019, https://thecustomizewindows.com/2012/02/mainframe-computers-brief-introduction/.